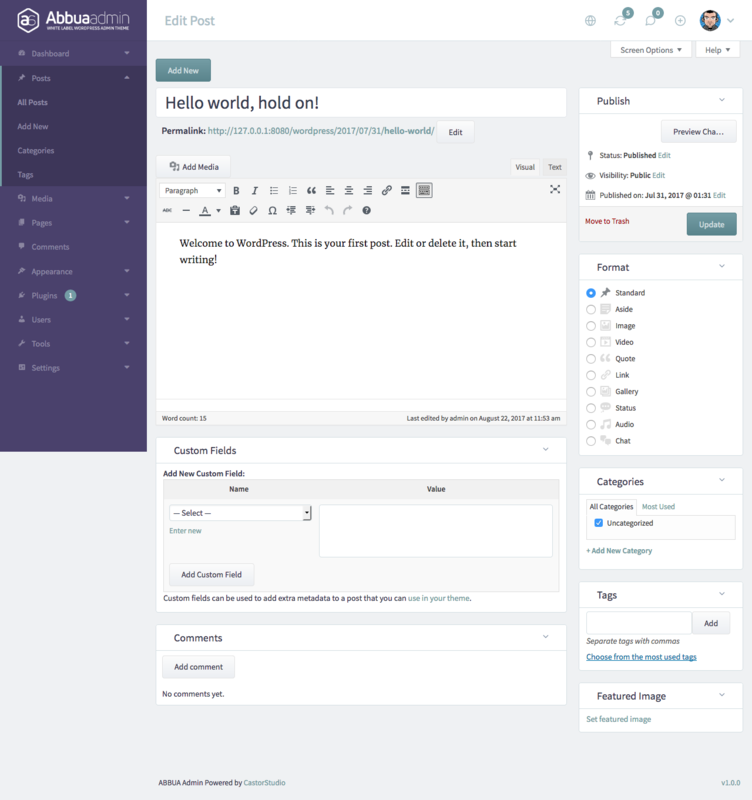 ABBUA Admin it’s an advanced and carefully crafted white label WordPress admin theme. With ABBUA Admin you can change logos, choose one from tons of color themes, customize everything on the login page and many more features that lets you bring your WordPress admin area to the next level. 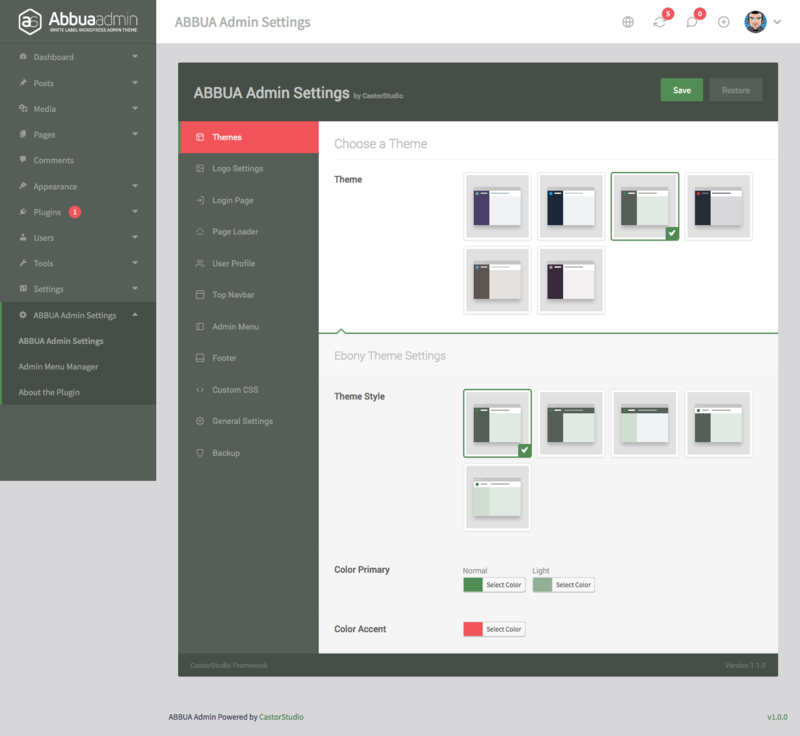 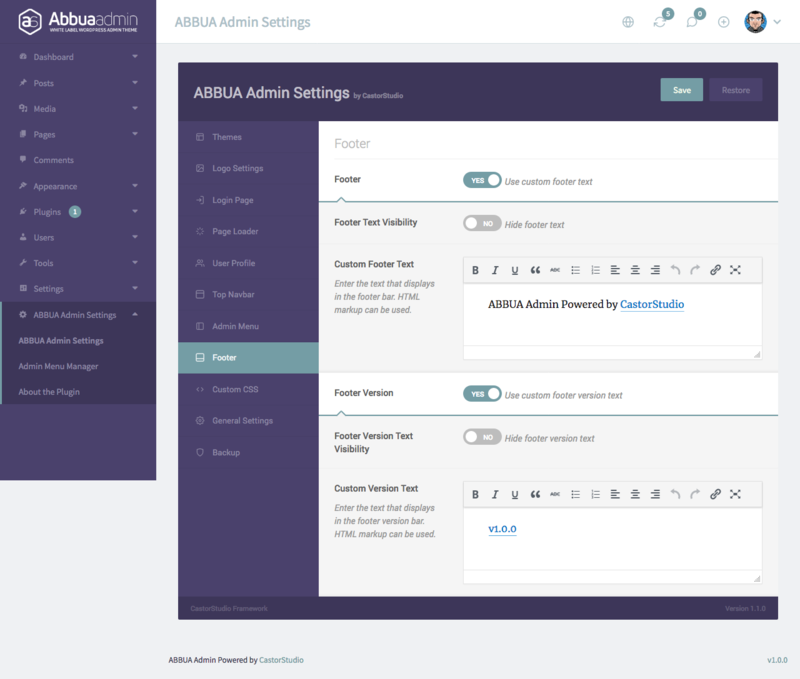 Along with White Label Branding features, ABBUA Admin comes with more than 30 awesome inbuilt themes, plus more themes will be added regularly. 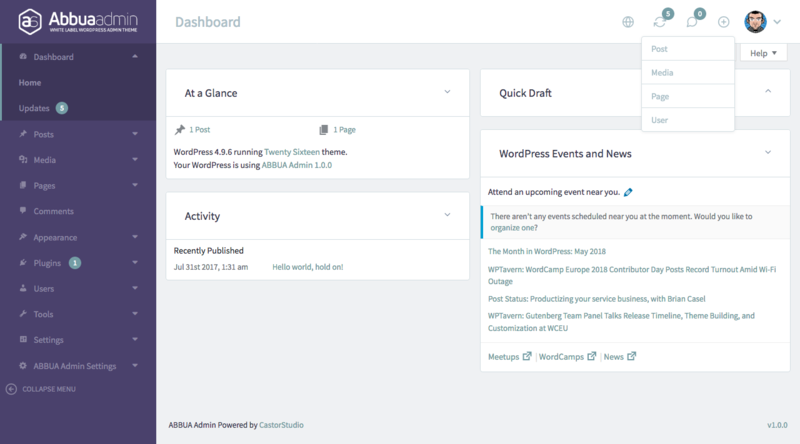 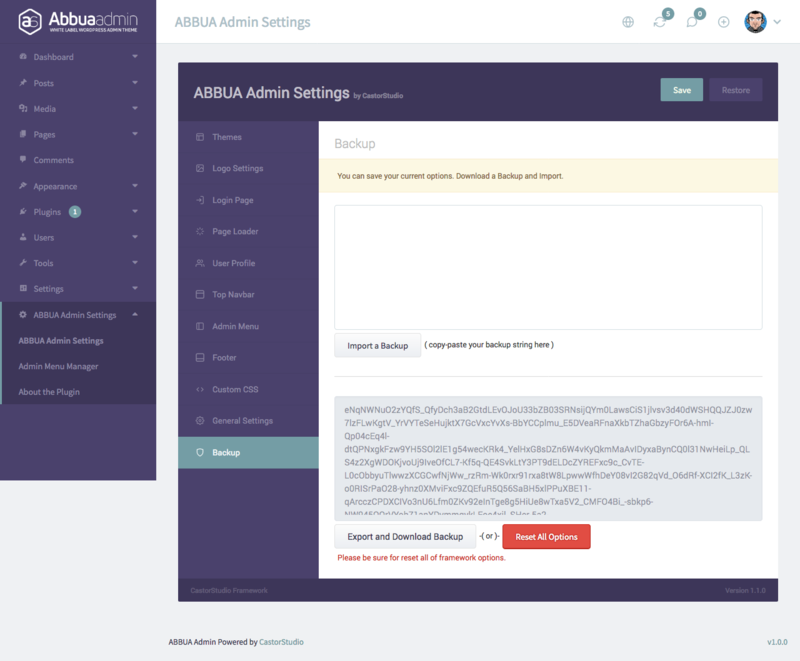 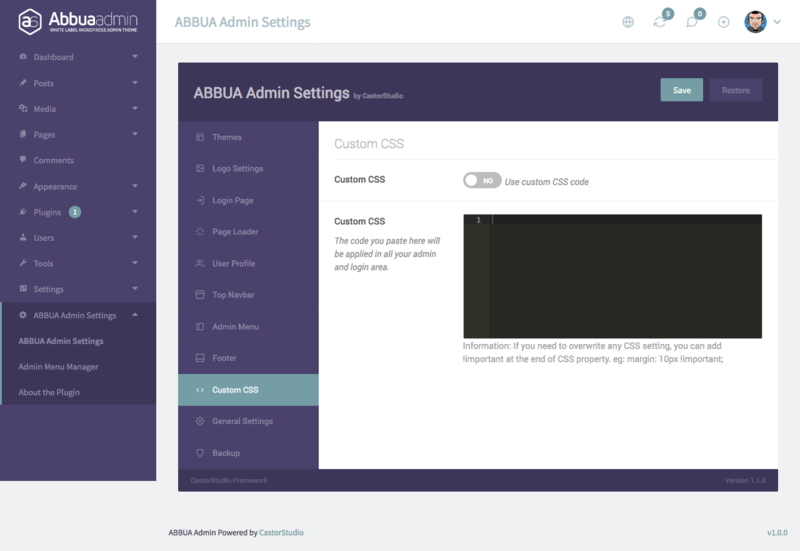 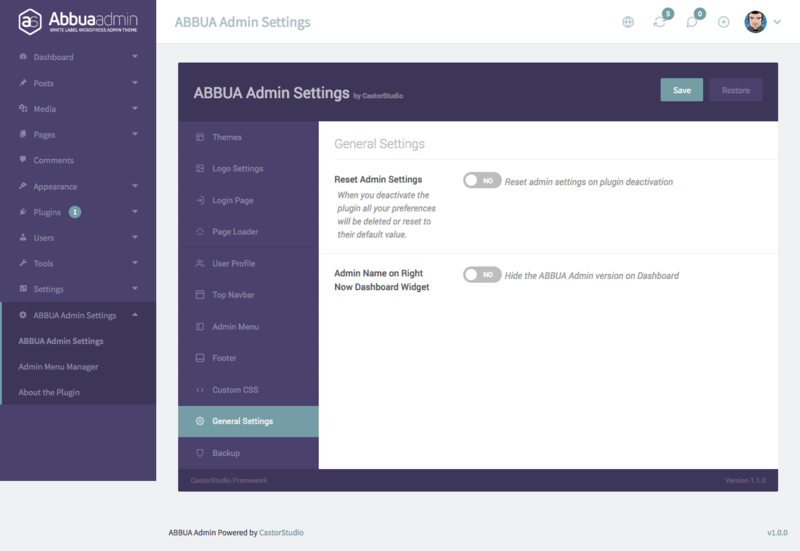 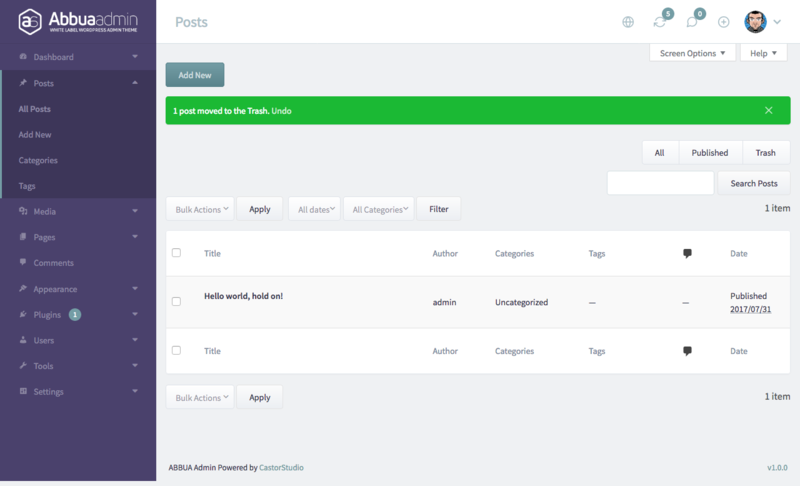 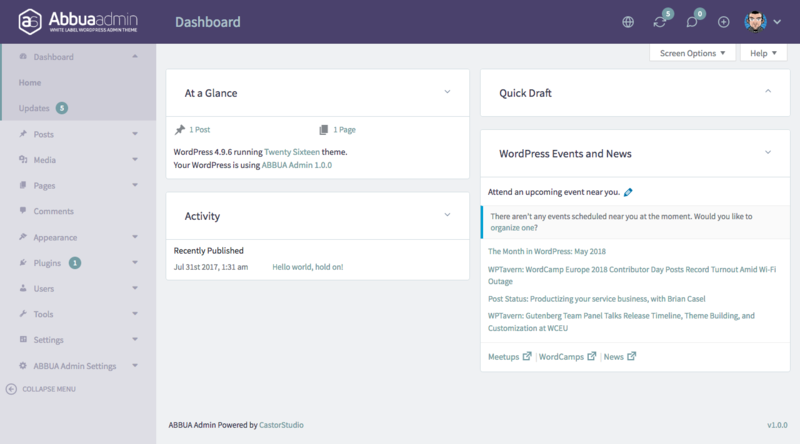 What you get with ABBUA Admin for WordPress? Boost your WordPress security changing the login and logout URLs. 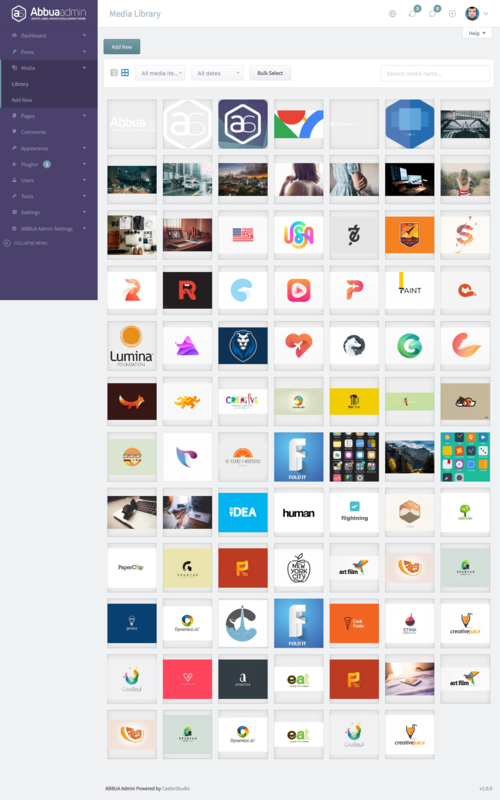 Favicon generator included! 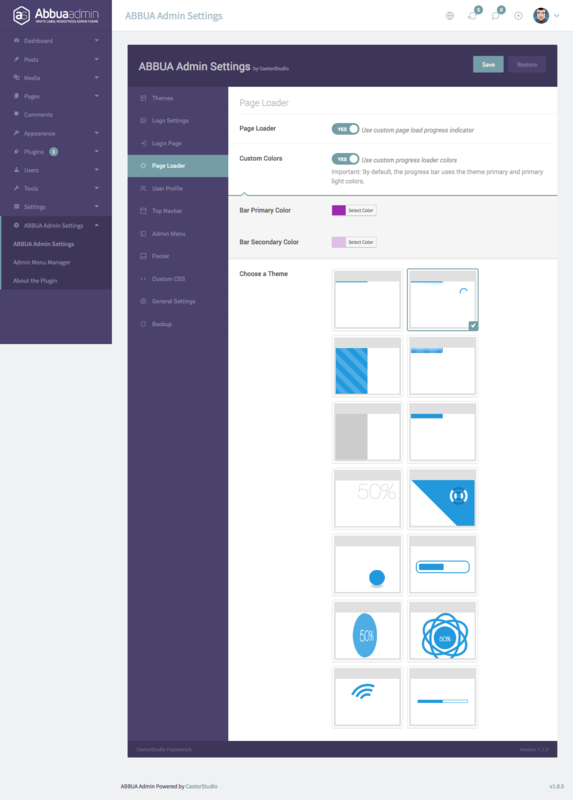 Create a favicon and logos for Apple and Android devices with a few clicks. 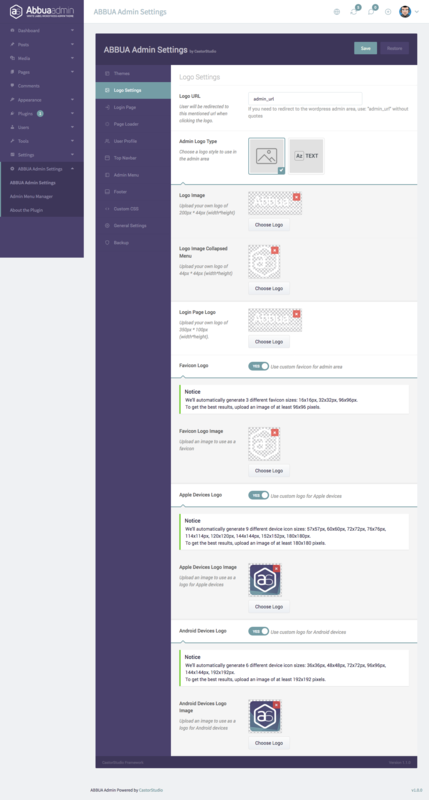 Choose an image and your done! And we keep creating new themes, that will be available on our website. 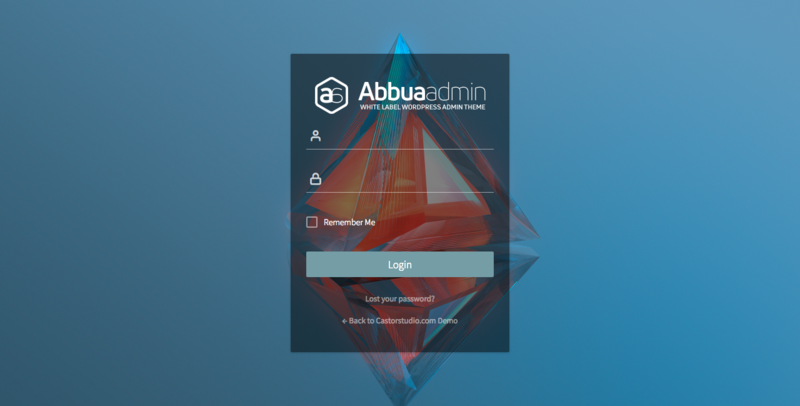 Just download and enjoy! 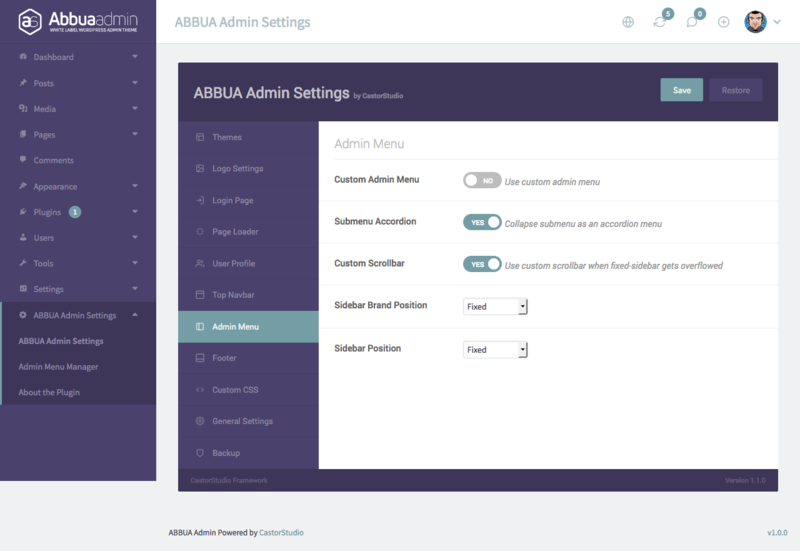 - Admin Menu Manager functionality to hide/show and reorder admin menu items. - ABBUA Theme, updated default colors when re-activating the plugin. 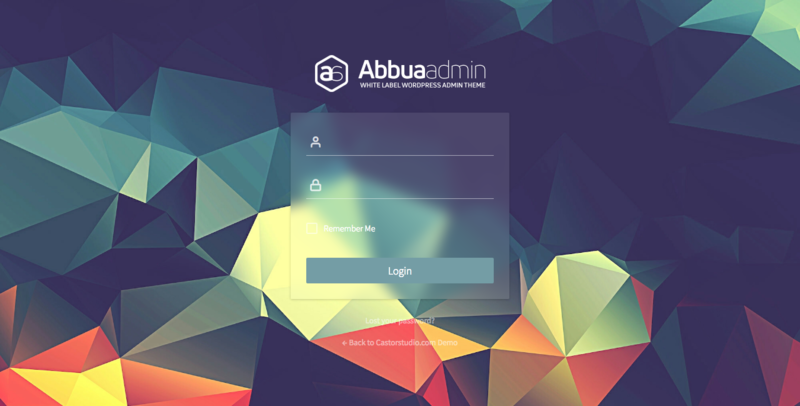 - Login screen default messages like logged out or login error, now display correctly. - "Error-shake" effect and "frozen-glass" style compatibility issues.